Kobo may be doing their best to keep secret the US retailers who have the new Kobo Glo and Kobo Mini, but not everyone is as interested in discouraging sales. I've just been told by one of my readers that the ABA has put together a list of the 450 odd indie booksellers in 48 states and DC which have signed up to carry Kobo ebooks and ereaders. The list is organized by state, and it includes links to websites for each of the booksellers. I cannot say for sure which already have received their stock, but now that you have the contact info you can call and check. If it turns out you don't have one of these stores in your area, but you still want to buy a Kobo ereader, I would suggest that you check out Powell's. They will ship the ereaders to US and international addresses. And I know they have the ereaders in stock; that's where I got my Glo. I picked my Kobo Glo last Friday from Bookworks in Albuquerque NM. The store had a working display with both the Glo and the Mini. The manager indicated that they had plenty of stock (at least for the Glo) and that they had been in stock for over a week. They also had the cases. The manager was very interested in how I found out that they were carrying them. I informed her it was via your web site and then the ABA web site. She acknowledged the problem with the Kobe web site not listing the ABA or the stores. She also said that the association was working on the issue. It would seem that the devices are available but it will be interesting to see how good the holiday sales are with such poor advertising. 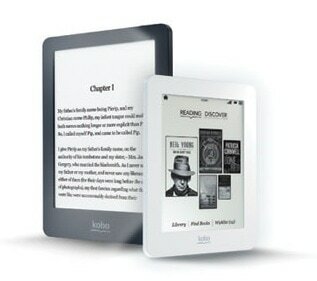 Based on the Kobo web site you would assume that neither the Glo or the Mini was available in the USA. Glad I could help you find the ereader you want. I saw a Kobo mini at the Best Buy in Charlottesville last Sunday. There was only one and it appeared to be the only Kobo there. Exactly. This is the problem with Kobo.com. They are only listing retailers on their website that only have display models; they don’t actually have any to pre-order or sell. @Karl, thanks for the update. It’s good to hear that the ABA is working to fix Kobo’s advertising blunder. I love independent bookstores and the ABA. They should should at least be given a mention on Kobo.com. You know, their partner Kobo.com? At first I thought that Kobo was windowing the Glo to give selling preference to ABA booksellers, but now I see it’s just a totally stocking failure at their preferred big box retailers. This is exactly incorrect with respect to BestBuy and the Kobo mini. It is for sale; there are no ‘pre-orders’. What most individual BestBuy stores are not doing is ordering a large amount to hold in local inventory. Going to BestBuy.com anyone can have a mini shipped to a store for pickup in 3-5 days. As they mini sells local stores will decide to devote more to stockpiling them locally ( Although I suspect this will always be in relatively low numbers. ). The Glo and Arc are not pre-order nor on display. The Vox and Touch are for sale but not on display. With the limited display space most Best Buy stores have, these not so competitive models don’t make the cut. IMHO, The huge flaw here for Kobo was splitting product line with colors. That was a mistake because it makes the product harder to inventory and stock. I am so glad to have found this article and the referral to the indie bookstores. I went to a store in Glen Ellyn and bought my Glo yesterday. I love it. I did check out the Nook Glow and wasn’t impressed. I have been waiting to buy this and now not only do I have it I am already enjoying it. I was able to buy locally and that’s great too. I ordered the new Kobo Aura from the Kobo website on December 8 th. It was scheduled to arrive on December 20. It has not yet arrived, today is December 23. I have called them and emailed them and they have expedited the delivery. So I really hope it gets here by Christmas Eve. It is my present to my Dad who is from Germany and a retired professor and doesn’t like the extreme commercialism of Amazon, so I researched and chose the Kobo Aura. Now I am really worried that everything is going to be as slow as this initial ordering process. Is it difficult to purchase and download books? I have an old Kindle that I love and is easy to use and order with. You can order books from many libraries in Canada, so the same May be true in the US , also on the Kobo website.